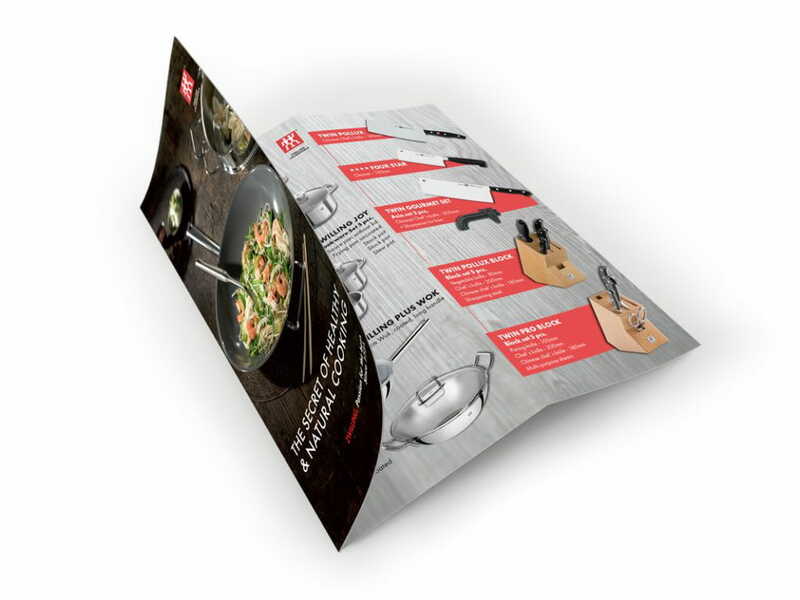 We have created an elegant flyer design for exclusive German brand Zwilling, the manufacturer of high quality kitchen utensils. Their products are inspired by international cuisine and lifestyle trends and a attention is focused on quality and customer satisfaction. 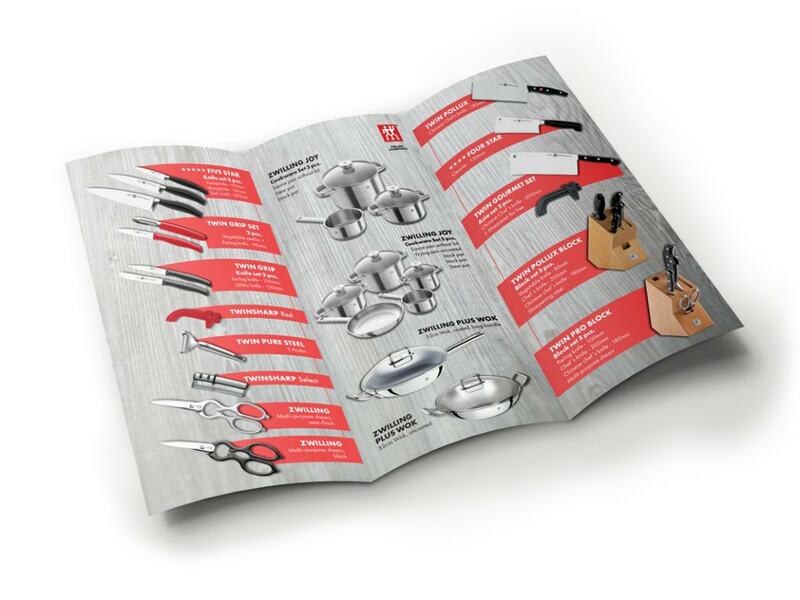 The design of flyer we came up with presents a credible of brand, drawing attention to the promotional campaign, which informs customers on the location of sale and products that are on offer. Dimension open leaflet is A4, and thanks to the double switch, we get a flyer with six pages, which is in a folded configuration practical dimension. 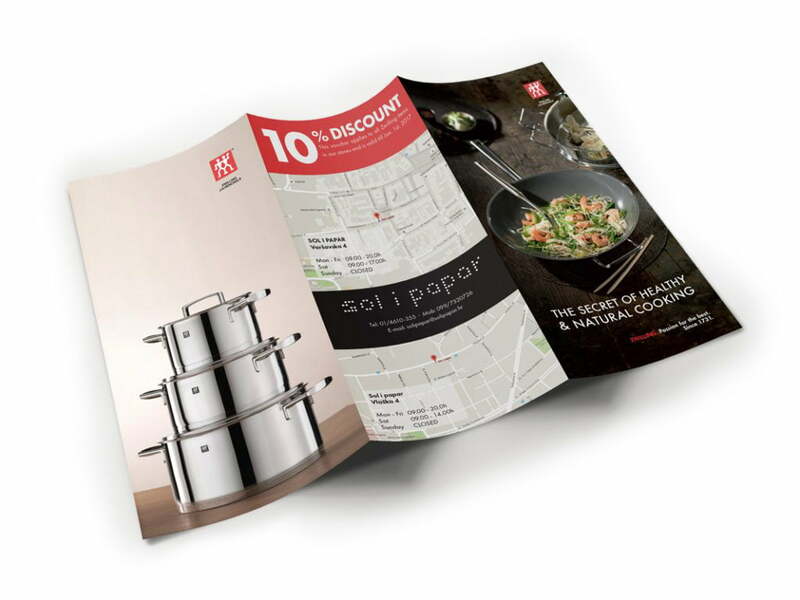 Flyers are considered one of the oldest channels of promotion, however, they are still very effective method of advertising products and services as you are directly reaching out to potential customers.